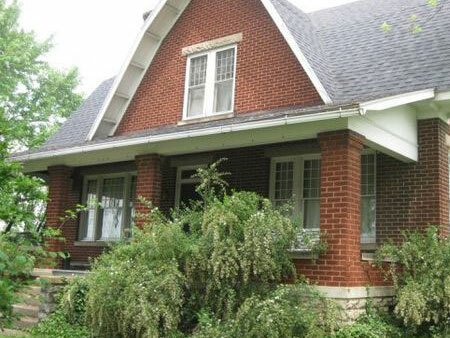 Being a 9 room 2 story home in the style of Arts & Craft w/wire cut brick exterior, lots of natural finished beautiful woodwork; front covered porch; 2 story w/attic and basement & enclosed rear porch. The home is fresh on the market and has never been previously listed for sale. Home offers eat-in kitchen/tile floor, dining room w/pocket doors & china cabinet, exposed brick & mantle fireplace; front foyer, living room with built in book case & fireplace, bedroom w/closet, bedroom w/commode; upstairs offers 2nd level foyer; bonus room; bedroom with fireplace & walk-in closet; bedroom with closet, kitchenette, closet & fireplace; full bath w/porcelain claw foot tub & 2 closets. The unfinished Attic has wood flooring. The unfinished basement has concrete floor, washer/dryer hookups and shower stall. 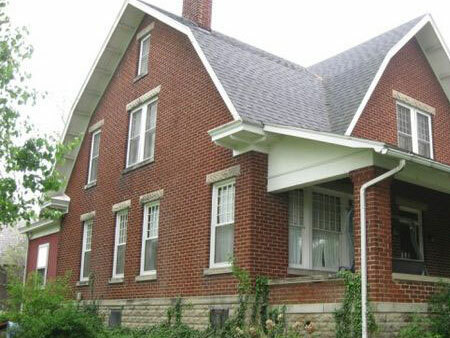 Home equipped w/gas fired hot water heat installed Oct. 2010, City Water & City Sewer.